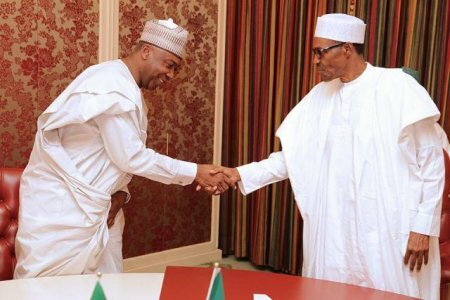 Senate President Bukola Saraki will not run against President Muhammadu Buhari in the 2019 presidential election, his chief of staff has said. Hakeem Baba-Ahmed said as long as Buhari seeks re-election, “Saraki will not contest”. He was speaking on a weekly Hausa Programme aired on DITV/Alheri Radio monitored in Kaduna on Saturday, monitored by Sunday Trust. “But if President Buhari says he will not re-contest the position, that is a different case. The Senate President will not contest against President Buhari because he sees and respects him as a father. He said he was not aware if Buhari will seek re-election.